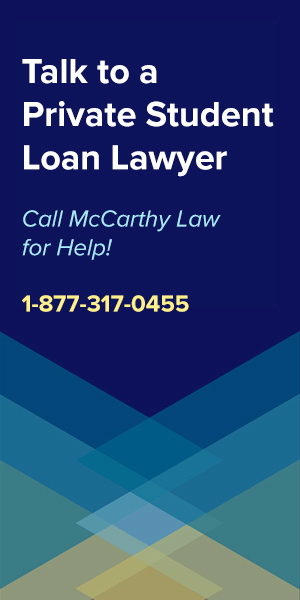 Another huge crack in the student loan dam just burst wide open, thanks to the efforts of 12 Attorneys General and the Consumer Financial Protection Bureau (CFPB). Aequitas Capital, a massive Hedge Fund, has been found guilty of illegally colluding with Corinthian Colleges to scam tens of thousands of Americans out of nearly $200 million dollars in student loans, and over 40,000 Americans stand to have their loans REFUNDED (not just forgiven) if the settlement deal submitted to an Oregon court receives final approval. And that’s a big deal, because it’s one of the first large settlements like this to take place, not just because it’s the first time a major Hedge Fund has been involved, but also because the firm isn’t only being told to forgive outstanding debt, but also to pay back all the payments it’s previously received! What Lead to the Aequitas Settlement? This deal stems from a settlement surrounding Aequitas Capital Management’s bankruptcy filing, and the loans that are getting refunded were all handed out to students at Corinthian Colleges schools. If you’re not familiar with the troubles they’ve been having, then please be sure to check out my page on the Corinthian Colleges Student Loan Forgiveness Program. The settlement still needs to get approved by an Oregon court, but it’s now in it’s final stages and getting closer to becoming legitimized each day. I’ll update this page as soon as the final arrangements are reached, so be sure to check back regularly if you had a loan from Aequitas for a Corinthian school. What is Aequitas Accused Of? Illinios Attorney General Lisa Madigan added that “These were sham loans used by for-profit schools and lenders to access federal taxpayer dollars to fund programs that did nothing to help students get ahead”, in that the actual outcomes of earning a degree from the school weren’t worth the costs. The reality is that the situation Aequitas and Corinthian set up is more like a ponzi scheme than anything else, as after Corinthian wasn’t able to continue making payments to Aequitas (because the school was closing), the hedge fund was sitting on a ton of loans that students could never repay (considering they weren’t able to complete their education, and find a job). The Securities and Exchange Commission found out about this little arrangement, began an investigation, and literally declared the deal a Ponzi scheme. 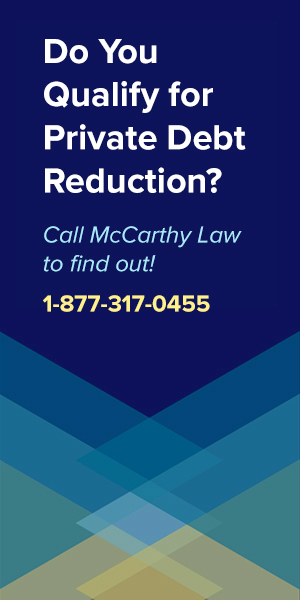 To find out if you’ll qualify for the refunds (once the settlement is finalized and approved by the court in Oregon), you’ll need to contact your State’s Attorney General. Fortunately, it’s easy to find out who you need to speak to, as a simple Google Search for “state name attorney general” will get you their office, and then you can call or email whoever is listed to see how the case is being handled. If you can’t be bothered to Google it, then try going here instead. This link is a list of the State Attorney generals, maintained by the National Association of Attorneys General, so you can trust it. What Other Student Loan Forgiveness Options Exist? 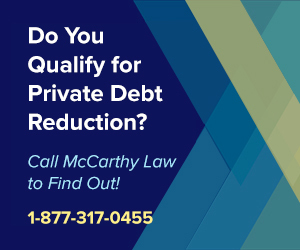 Even if you don’t qualify for the Aequitas Student Loan Forgiveness Program, that doesn’t mean you’re out of luck, because there are currently plenty of available forgiveness benefits floating around out there. First off, it’s easiest to qualify for Federal Student Loan Forgiveness Benefits, because the Government is far more forgiving than private lenders. To find out what benefits you may qualify for, be sure to read through other pages of my site, then think about which benefits packages you may be able to qualify for. 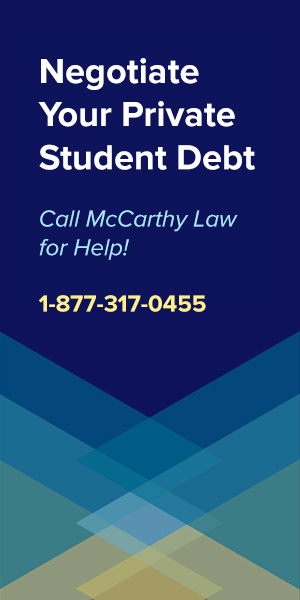 If you have any questions about your potential for earning any of the benefits I mention below, consider calling the Student Loan Relief Helpline to get their opinion. 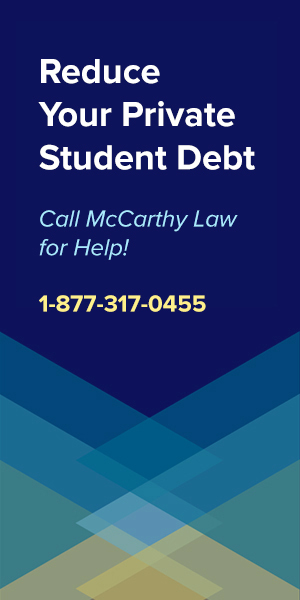 This is a paid service who can handle everything related to your student loans for you, but your first call to them is free, and you may be able to get them to do a bit of research and give you an idea of which programs they think you qualify for without having to spend any money. If you don’t qualify for any of those programs, then you’ll need to look at some of the niche opportunities, like the Closed School Student Loan Discharge Program, which lets you get rid of loans from schools that shut down while you were attending them, or the Borrower’s Defense Against Repayment Program, which offers loan discharges to students who can prove that their schools committed some kind of fraud to get them to sign up for their programs (like false advertising, false promises, etc.). 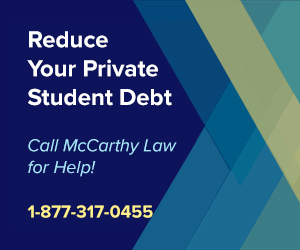 There aren’t a lot of options for receiving Private Student Loan Forgiveness, but there are some excellent programs for students in very specific situations. First off, anyone with a loan from Navient may be in luck, because they’re getting nailed by the same organization pursuing this Aequitas settlement, the Consumer Financial Protection Bureau, for abusing student loan borrowers, and being a bad student loan servicing company. 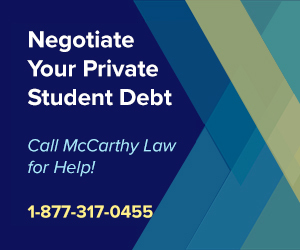 For details on that potential settlement, check out my page on the Navient Student Loan Forgiveness Program. Next, anyone who attended DeVry has a good chance of getting forgiveness, or even a refund, because they’re under attack from the Federal Trade Commission (FTC) for bilking students out of money over serving up ads that “misled prospective students” into thinking they were getting a better, more valuable education than they actually delivered. 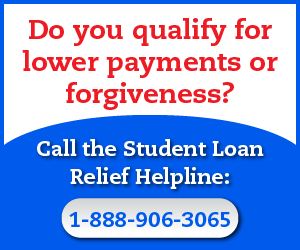 To find out if you may qualify for forgiveness, look at my page on the DeVry Student Loan Forgiveness Program. And finally, there’s a huge potential for anyone with a private loan originating from the National Collegiate Student Loan Trusts to get forgiveness benefits, stemming from a clerical error they made which led them to lose paperwork proving their ownership of over $5 BILLION in student loans. Read about the details of this exciting potential forgiveness opportunity by visiting my page on the National Collegiate Student Loan Forgiveness Program. No matter what kind of forgiveness benefit you qualify for, it’s important to keep in mind that you may end up owing taxes on the amount of money you have forgiven, so you’ll also want to be sure to read my page about Student Loan Forgiveness Benefits and Taxable Income Laws, otherwise you could be quite surprised by the IRS’s response to your tax filing. And finally, no one really knows what’s going to happen with President Trump’s Plan for Student Loans, but as soon as the details emerge, you can bet that I’ll be updating my site to reflect whatever he puts in motion, as it’s sure to be a big change from what we’re grown used to via the Obama Student Loan Forgiveness Program. Just be careful what you read, and who you trust, because there are still unfortunately many Student Loan Forgiveness Scams floating around, and the worst thing you could do is find yourself becoming the next victim to the con artists and scammers who prey on people in desperate situations. Why Am I Excited About This Settlement? This settlement matters because if Aequitas gets nailed, then all the other student loan lenders out there may be in line to get attacked next. Aequitas is not the only hedge fund to get involved in the student loans space (whenever there’s a bubble, you can bet that Wall Street is involved), and Corinthian isn’t the only for-profit college to fail either, so I’d bet good money that the SEC is going to start investigating all sorts of other arrangements to look for similar Ponzi schemes at other firms. And even if they don’t find any similar setups, the precedent this case sets could mean that even traditional lenders who have operated in similar fashion may be at risk for getting attacked in the same way; by accusing them of taking advantage of students and taxpayers. The Federal Government has been pretty lax about prosecuting abuses in the student loan space, especially when it’s just consumers being screwed over, but they’re quite serious about going after people who abuse their limited tax dollars. And I’m pretty confident that this case would very well be the first of many dominoes to fall in a chain reaction that completely disrupts the student loan debt bubble, saving millions of Americans from trillions of dollars of excessive debt. It’s still too early to tell how other courts and attorneys will handle the results of this settlement, but if we see a positive outcome here, then there’s a very good chance that you’re going to see a slew of similar cases being brought to the courts in the months and years ahead. And if everything turns out the way I’d like it to, history may look back on the Aequitas student loan refund settlement as being the wave that finally broke the dam to one of the biggest financial bubbles (and disasters) in American history. Keep your fingers crossed, and make sure to check back regularly for updates. I’ll update this page as soon as more information emerges about the settlement. Make sure to check back regularly to find out how all of this will work once everything is finalized.